 (RISMedia-Norwalk, CT)— McColly Real Estate, headquartered in Schererville, IN, recently announced its inclusion in the Top 500 national ranking of real estate brokerage firms in RISMedia’s 29th Annual Power Broker Report. McColly Real Estate reported 4,922 closed residential transactions in 2016, and a total sales volume of $832,028,506. This year’s Power Broker Report is based on responses to RISMedia’s 2017 Power Broker Survey, distributed in early January. More than 1,400 real estate firms from across the country completed the Power Broker Survey, with the top 1,000 reporting a collective 3,648,075 closed residential transactions in 2016, accounting for more than $1.16 trillion in sales volume. Now in its 29th year, the Power Broker Report has long honored the incredible business feats of remarkable real estate leaders—and brokerage firms—who continue to shape our industry. Each April, RISMedia’s Real Estate magazine highlights the Top 500 Power Broker firms according to sales volume and transactions. RISMedia’s Annual Power Broker Report ranks firms by closed transactions and sales volume for the prior year. The Top 500 rankings appear in the April issue of Real Estate magazine and online at rismedia.com. The complete ranking of the Top 1,000 firms, according to both sales volume and transactions, will be available later this spring at rismedia.com. RISMedia’s 29th Annual Power Broker Report & Survey is based on results garnered from a survey distributed via email and available online at rismedia.com. The survey ranks residential real estate brokerage firms according to closed residential transaction numbers and closed residential sales volume for the year 2016. All sales and transaction data is submitted directly by brokerage firms and verified by the firm’s financial executives, outside accounting firms and/or corporate franchise headquarters.